Everyone wants their event to shine with people chatting and enjoying themselves. Strolling magic can be the perfect way to get things moving. 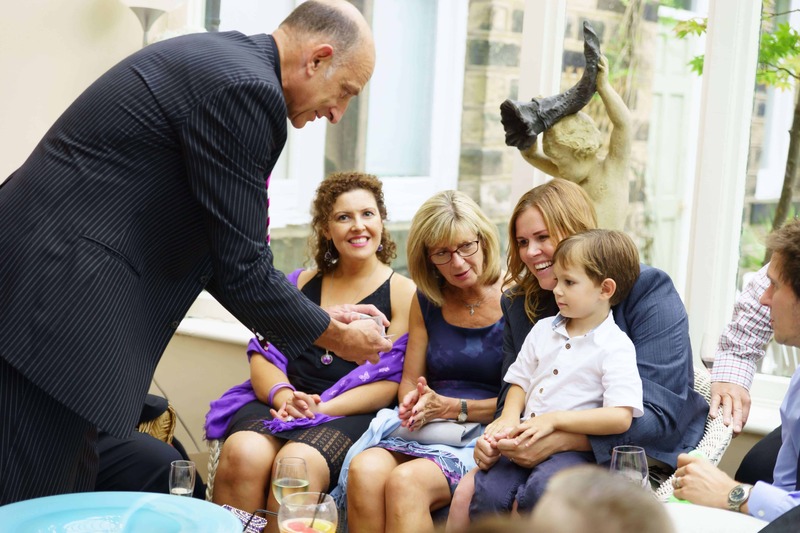 Interacting with small groups magician Paul Kay will engage and entertain people leaving them laughing and having fun. Moving around the room Paul, will make items float, bottles of champagne appear and provide the odd interesting prediction. Whether for a corporate event or family celebration Paul Kay will entertain your guests and add to the festivities. If you need your event to have a central focus point have your star guest sawn in half. To discuss your requirements or seek advice contact the office by your preferred method.